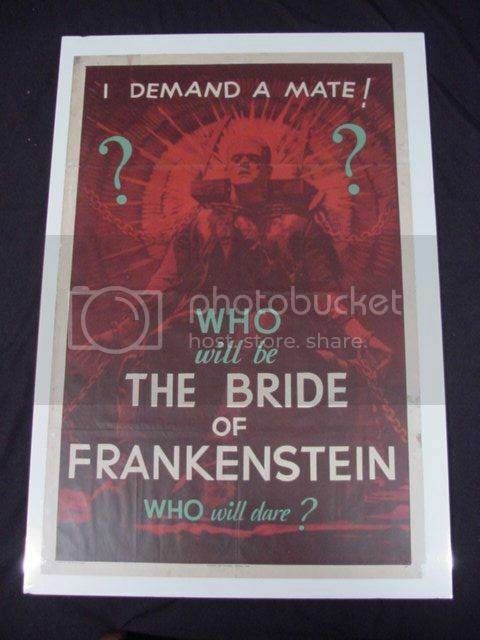 The last known remaining teaser poster for Universal's 1935 Bride of Frankenstein is up for sale again. The current owner, Todd Feiertag, is a well known dealer/collector of vintage horror movie posters and has seen some pretty rare pieces come and go but this is the holy grail. Just think, for only $1,200,000.00 it can now be yours!! Just 1.2 milllion for a poster. Lunch money for me. does he take personal checks?